Brace yourself: This #FlashbackFriday is about to give you all the feels. In honor of the Disney cartoon Pocahontas' 20th anniversary, Pocahontas' voice herself, Judy Kuhn, sang "Colors of the Wind" from the Pocahontas soundtrack. Kuhn was the singing voice of the titular character in the 1995 film, next to Irene Bedard, who was Pocahontas' speaking voice. Accompanied by pianist Jeanine Tesori (who composed the music for Fun House, the Broadway play in which Kuhn currently stars), the actress gave a stripped-down performance of one of the songs that pretty much defined most '90s kids' childhoods — I know I'm not the only obsessed with it. Don't worry, though, those of you looking for a nostalgic clip to bring you back to the days when the film was released: her performance isn't too divergent from original. In fact, she perfectly hits the poignant moment at the end of the song, subsequently giving me chills for days. Like, at that moment, I was pretty much back in middle school music classes on the fun days when we got to watch Disney Sing-Along Songs VHS tapes. You can get a hearty dose of nostalgia, courtesy of Judy Kuhn performing "Colors of the Wind" in the video below. 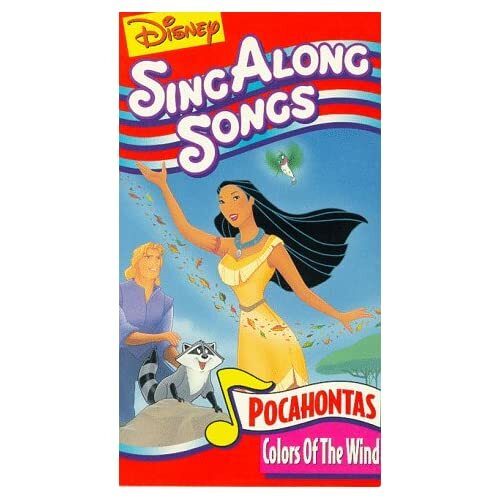 Released in 1995, "Colors of the Wind" was a commercial and critical success. It scooped up a "Best Original Song" Oscar for composer Alan Menken and lyricist Stephen Schwartz — it also earned a Golden Globe and a Grammy. Though lyrics to the song successfully engrained themselves in the memories of pretty much every millennial (thanks, Disney! ), but no worries — Kuhn doesn't know what a "blue corn moon" is either. "I have always hoped someone could explain it to me," she told Entertainment Weekly in a recent interview. "That being said, I don’t believe I have ever heard a wolf cry. I do live in New York City where we now apparently have coyotes, but I have not heard of any wolf sightings. Yet." Feeling nostalgic yet? You can check out the original version of the song in the video below!